Over the next week take the time to reread the text on spiritual Aquarius and to answer the following questions. The answers to these questions and subsequent Spiritual Exercises will form a journal of spiritual self-inquiry. This writing process will deepen your understanding of The Brotherhood of Light Lessons and Hermetic Philosophy as well as provide insights into your own spiritual processes. Over time, you will gain in greater self-discovery and self-realization and have the means of tracking your own process of spiritual maturation. What are your earliest memories of having an awareness of Divine Wisdom? How did this awareness or inner-knowing change you or impact your life? What methods or techniques do you use to help you to tune in to higher knowledge and your Higher-Self? How does your connection to higher knowledge directly impact your daily decision making? Does your personal wisdom derive from books, education, life experiences, or mentors? Who are the men and women that bring wisdom to your life? Do you engage in a daily practice of study or reading inspirational materials? In what areas of life do you feel more knowledgeable than others? When are you a teacher, mentor or advisor to others? Are there friends who make you feel more connected to Spirit? Who are they? 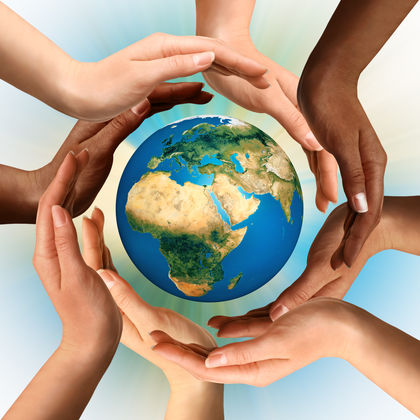 How do you contribute to make the world a better place? Do you have any quirky traits of character that make it hard for you to have friends or interact in social settings? Are there times that you are argumentative or oppositional? What triggers these behavioral traits? Where is the sign of Aquarius in your horoscope? Does it fall on a house cusp? If so, which one? How does Aquarius impact your thinking in this area of your life? Do you have any planets in Aquarius? If so, which planet/s? How do they influence you? 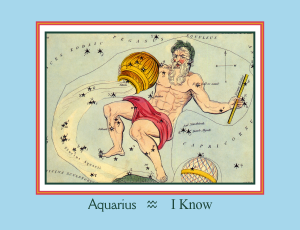 What import life lessons can you learn about the role of Aquarius in your chart?